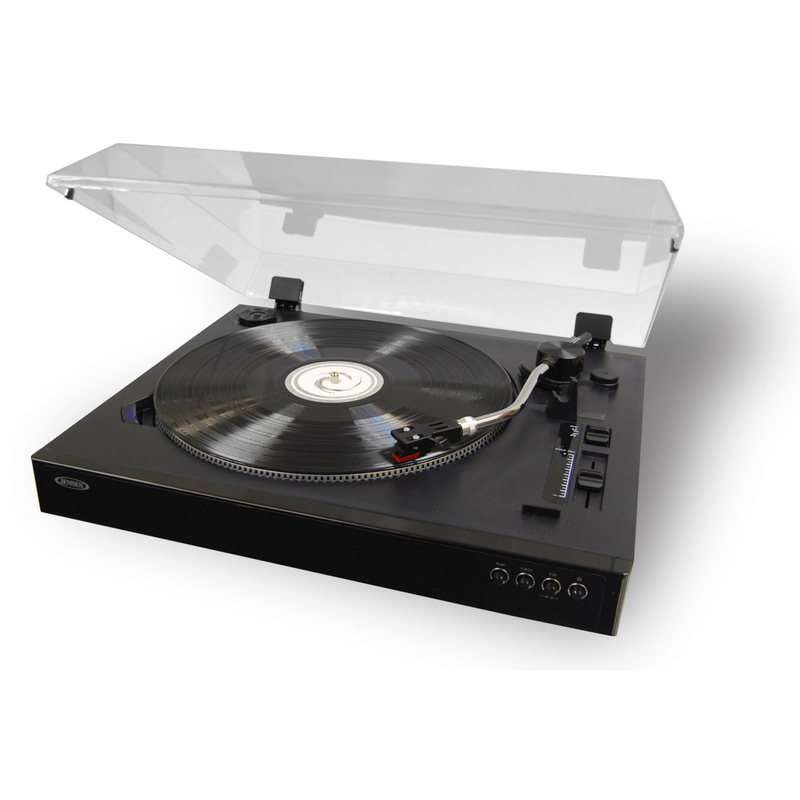 Introducing the JTA-470 3-Speed Stereo Turntable from JENSEN®. 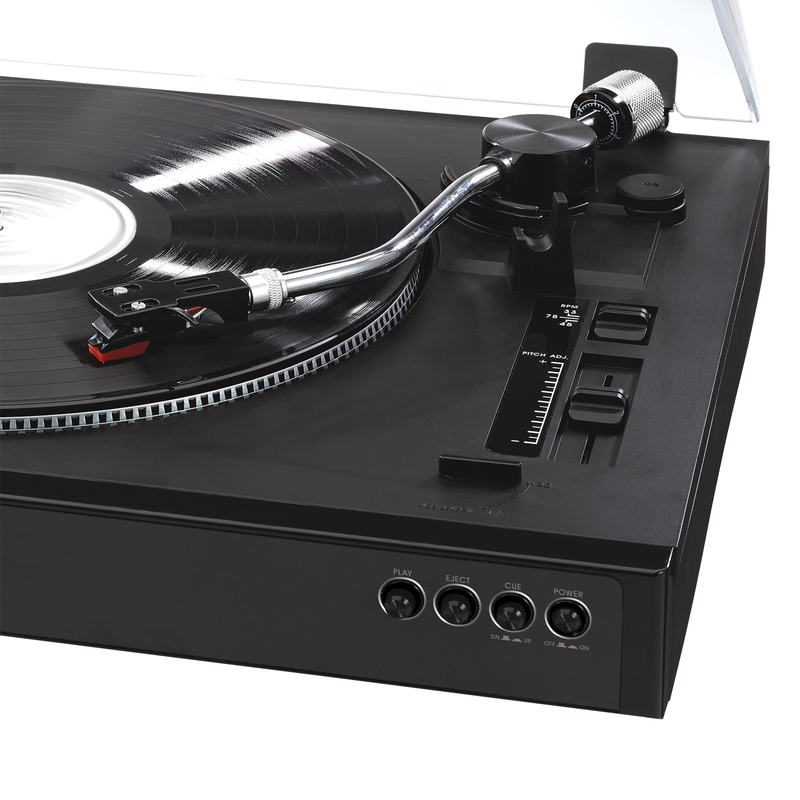 The JTA-470 connects to your home music system, and features strobe tuning pitch adjust, so no more playing records that play too fast or too slow. 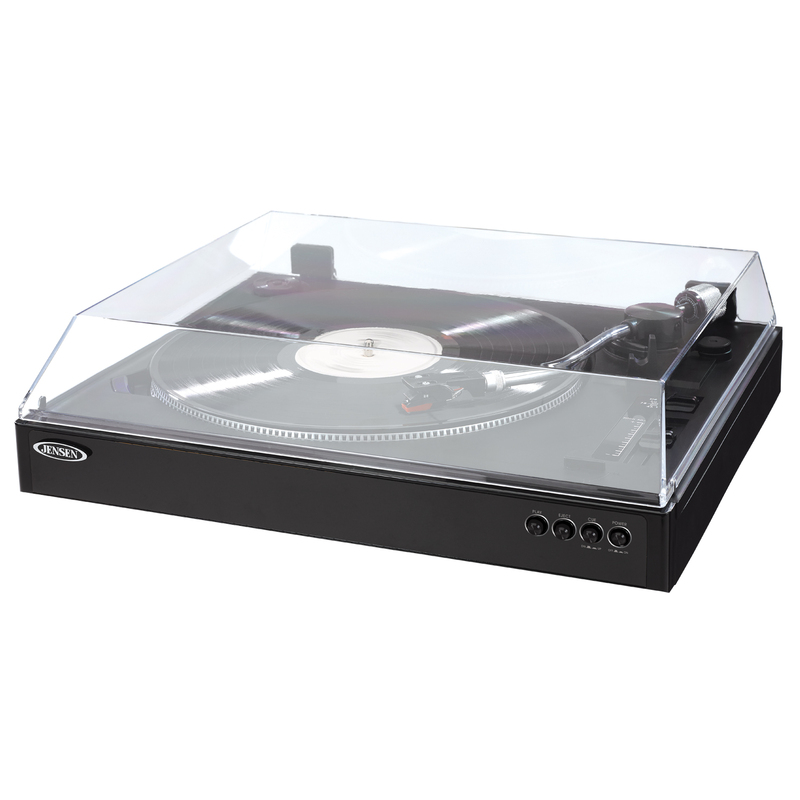 Also featured are a tone arm counter weight adjustment for proper balance and downward tracking force and a USB output that connects directly to your computer. Convert those nostalgic vinyl records into digital MP3 files with the included software. 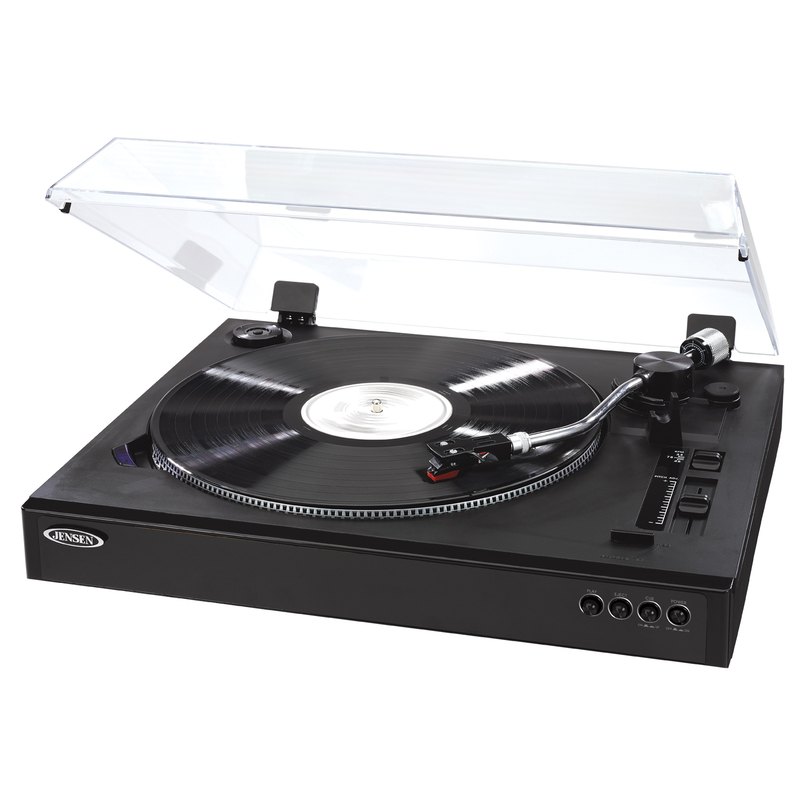 This belt-driven turntable is versatile enough to play all three (3) common speeds, 33-1/3, 45, and 78 rpm, and also includes a fully automatic tone arm with cue button. An auxiliary line-in jack allows you to attach an external audio player and the RCA outputs easily connect to your home music system. The stylish turntable includes a dust cover and has a black piano finish. Operates on 120V AC power.